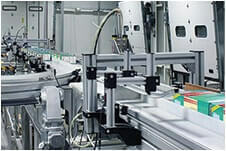 Operators across a wide range of general and specialised industrial applications use Bosch Rexroth variable frequency drives to achieve demand-oriented motor speed control and reduce electricity consumption by up to 80%. 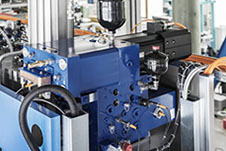 Tectra Automation supplies the full range of Bosch Rexroth frequency converters for asynchronous AC motors, delivering a simple, accurate and energy-saving three-phase drive speed control solution. 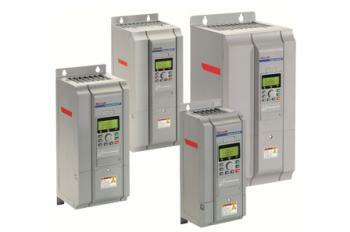 EFC frequency converters provide precise speed and torque control for AC motors up to 90 kW. 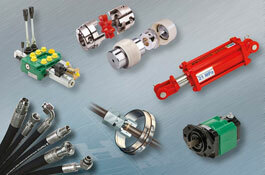 Ideal in a wide range of general and specialised applications. 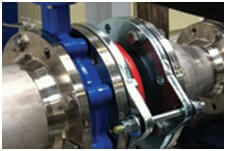 Developed as a field-oriented drive covering the power range 400 to 90 kW. 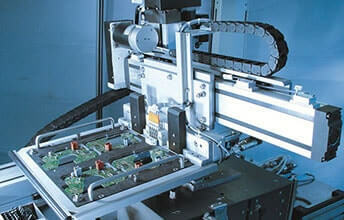 3 control modes: V/f control, Sensorless Vector Control and Vector Control with Encoder. 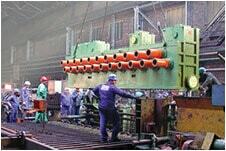 Rising energy costs and a move towards more environmentally friendly production is compelling businesses to implement machines that maximise energy efficiency across our plant and factory automation systems. 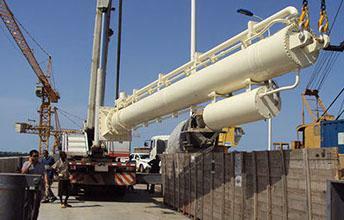 This is especially applicable in the field of drive technology. 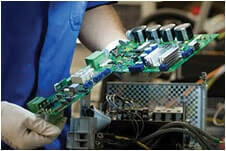 Speed control of AC motors is essential in optimising their energy use by efficiently overcoming mechanical inertia. 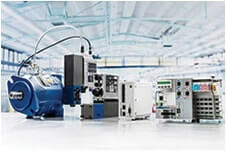 The Bosch Rexroth VFD range delivers a precise, efficient ramping of motor speed via controlled input frequency, reducing a process’s peak power demand, to deliver huge operational cost savings: up to 7 times lower energy consumption! 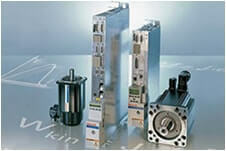 Bosch Rexroth variables frequency drives – on your doorstep! 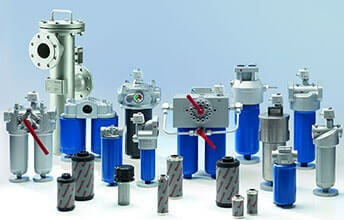 Bosch Rexroth is one of the world’s leading variable frequency drive manufacturers, helping industries across the world maximise their production and plant efficiency through reduced energy consumption and increased motor life. 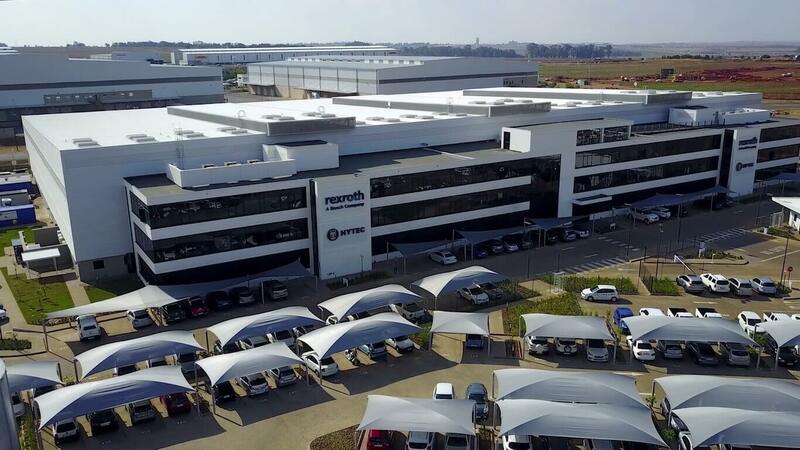 Tectra Automation, part of the Bosch Rexroth South Africa Group of Companies provides OEM-level supply, integration and support of the company’s VFD range to the region’s industrial operations. 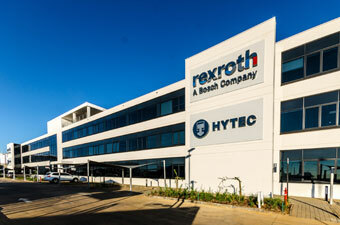 As Africa’s largest hydraulics and automation supplier, the Boch Rexroth South Africa Group of Companies has 40 branches across sub-Saharan Africa, each strategically located near the region’s industrial centres. 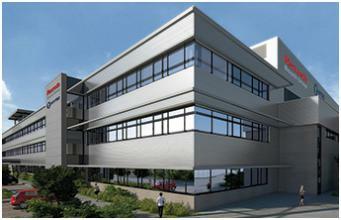 This means expert distribution and product and process support, right on your doorstep! 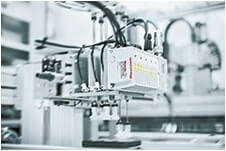 Bosch Rexroth variable frequency drives combine exceptional engineering quality with ease of use through a range of operational features that allow you to quickly set up the exact AC motor speed control parameters your application requires. These features include a detachable VFD control interface, which can be mounted on the forward door of the electrical control panel, giving the user access to the potentiometer, stop/start control buttons and display screen enabling quick parameter settings access and manipulation, convenient copy function, easy diagnosis and additional functions. This detachment function also allows parameters to be copied and transferred between each VFD using the panel’s memory and copy function in installations that comprise multiple motor drives configured for identical tasks. 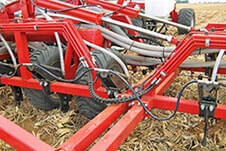 Additionally, in the event of component failure, parameters can be retained from the old frequency converter through the simple insertion of its display panel to a new device. 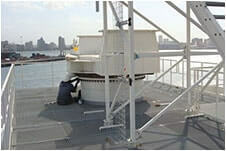 Additional braking resistors are available for applications where the controlled motor is required to stop instantly, dissipating the voltage produced via electromotive force. 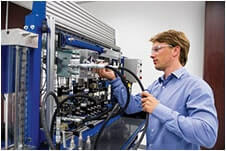 Tectra Automation retains large stockholdings of variable frequency drives up to 15 kW, with the higher-powered, larger units imported from Germany to order, with short delivery periods. 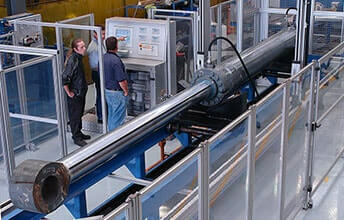 With Bosch Rexroth variable speed drives, South Africa's industrial, factory and production line operations can implement precise, high-quality solutions for efficient machine automation. 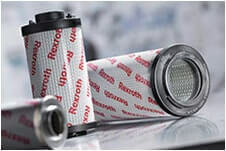 Up to 7 times lower energy consumption! 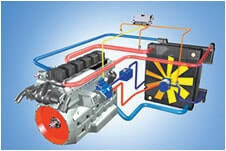 Optimise your motor speed control to increase your production efficiency. 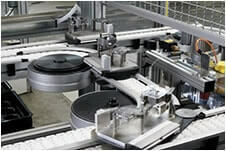 Call Tectra Automation on +27 11 975 9700 or send us an enquiry.